Seventy-five years after the Battle of Britain, a small subset of pilots who fought in the crowded skies above England have almost been forgotten. 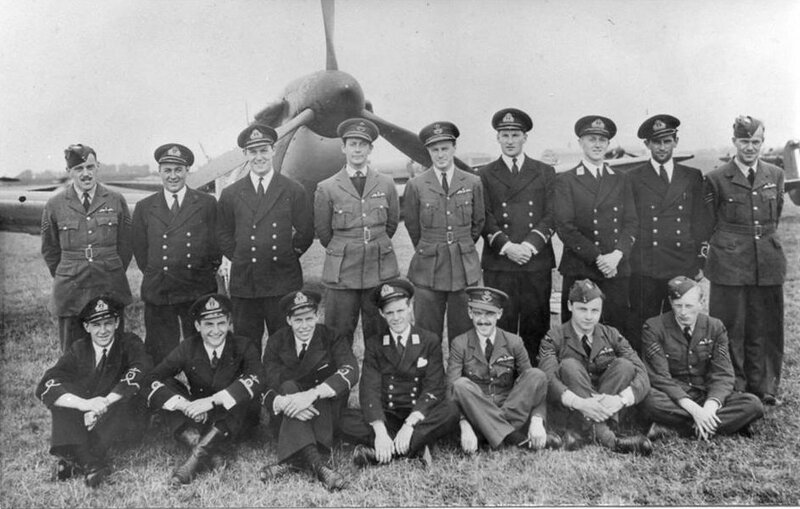 They are the Fleet Air Arm pilots, who took to the air, along with their Royal Air Force counterparts, to defend the British Isles. and Francis Dawson-Paul can be seen in this photo. During the Battle, the Fleet Air Arm had one resource that the RAF desperately needed: pilots. While aircraft could be built rather quickly in factories, it took time to train men. In the dark days of 1940, the FAA loaned a small group of pilots to the RAF for attachment to their expanding complement of fighter squadrons. 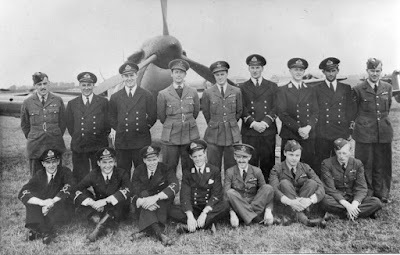 Two of these pilots, Sub Lieutenant Francis Dawson-Paul, who flew Spitfires with 64 Squadron, and Sub Lieutenant Arthur “Admiral” Blake, who flew Spitfires with 19 Squadron, quickly became aces. As always, Canadian-born pilots were included in the mix. 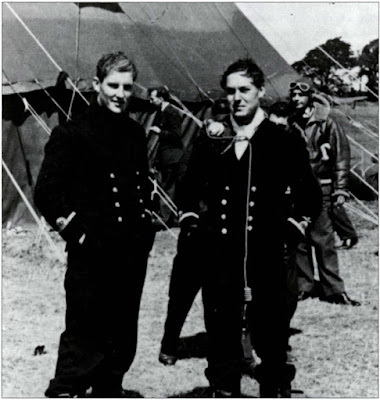 Two Canadian Fleet Air Arm pilots were to earn their Battle of Britain clasp with Fighter Command. Jack Conway Carpenter was born in Toronto, but as a young boy returned to his ancestral Wales. He joined the Fleet Air Arm in 1939, but was attached to the RAF in June 1940. 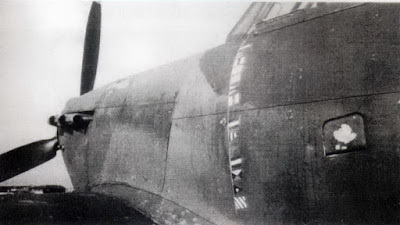 He joined 229 Squadron flying Hurricanes, but was quickly transferred to 46 Squadron, which also flew Hurricanes. While flying with 46 Squadron, he downed a Bf-110 on September 3, 1940, then shot down a Bf-109 on September 5, 1940. Sadly, his short life ended just a few days later when he was shot down while flying Hurricane P3201. He attempted to bail out of his stricken aircraft, but his parachute failed to open. with Nelson’s "England Expects" signal from the Battle of Trafalger. flew LE-V most often with 242 Squadron. Modeler's Note: Xtradecal has recently issued a decal sheet in both 1/72 and 1/48 scale which includes aircraft flown by Gardner and Cork. Sadly, there are some issues with the depiction of Gardner’s aircraft as they have included no serial number, the aircraft is incorrectly marked as LE-T, and they’ve included a spurious flag signal for the right side of the Hurricane. (LE-T was Hurricane V7203 in which Canadian Pilot Office Joseph Latta went missing on January 1941.) Dickie Cork’s P2831 LE-K is much more accurate and carries a RN style crown painted under the cockpit.